healthy, nutrient-rich ingredients sourced from vegetables such as firming artichokes or kale extracts, reviving carrot seeds or avocado oil. precious organic oils and shea butter. an improved scent that is composed of pure organic essential oils. The first generation body mousse was created to pamper the skin focusing on what the skin truly requires without harming the environment. This included synthetic substances such as preservatives, perfumes and so on. The formulas were aimed toward providing the skin with skin-caring properties, fast-absorbing qualities and noticeable moisture care without leaving behind a sticky residue. 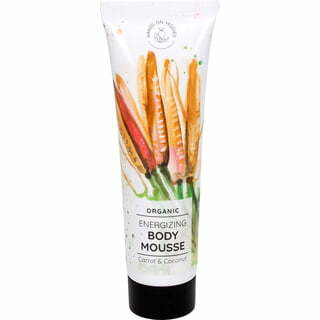 However, after receiving customer feedback regarding the scent of the products being "too natural", our team went back to the drawing board and set out o develop our second generation of body mousse that is more pleasant on the senses with improved consistency and texture. 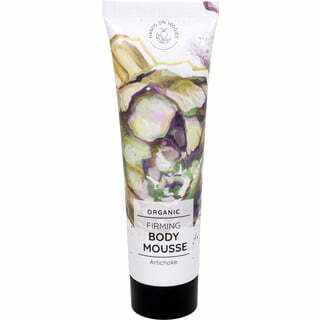 Now, the range of body mousse boasts a creamier texture and a pleasantly fresh fragrance. What's more, the first generation body mousse is now selling at half their original price! Only while stocks last. Hands on Veggies aspires to create cosmetics that are safe and healthy to use on a daily basis forgoing all the nasties!